Hell Paso The Border Town Too Tough for Wyatt Earp? Everyone knew that John Wesley Hardin was one of the deadliest gunfighters in all the West. Which is why, late in the evening of August 19, 1895, John Selman shot him in the back of the head. And, as Hardin lay dying on the floor of the Acme Saloon in El Paso, Selman fired three more shots—two of them striking the famously ill-tempered gunman. It wasn’t supposed to happen that way. After his release from prison in 1894, Hardin drifted for a year before arriving in El Paso to start a new life. But he quickly butted heads with Town Constable John Selman, who himself had a local reputation as a tough guy and deadly gunfighter. 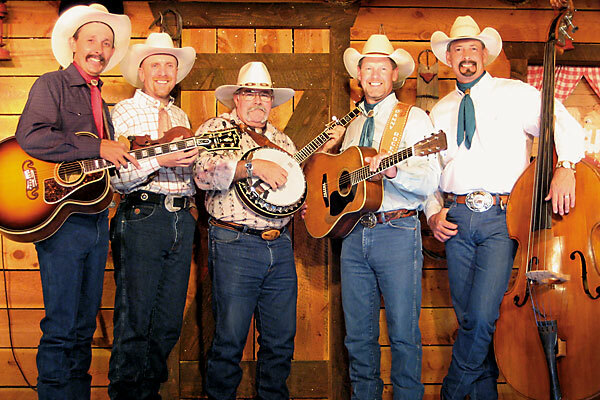 Bernie Sargent, head of the El Paso County Historical Commission (and one of the founders of the Six Guns & Shady Ladies historical re-enactment troupe), tells it like this: “When Hardin came to town, there was a sort of rivalry to see who was the baddest person in town.” Selman won. 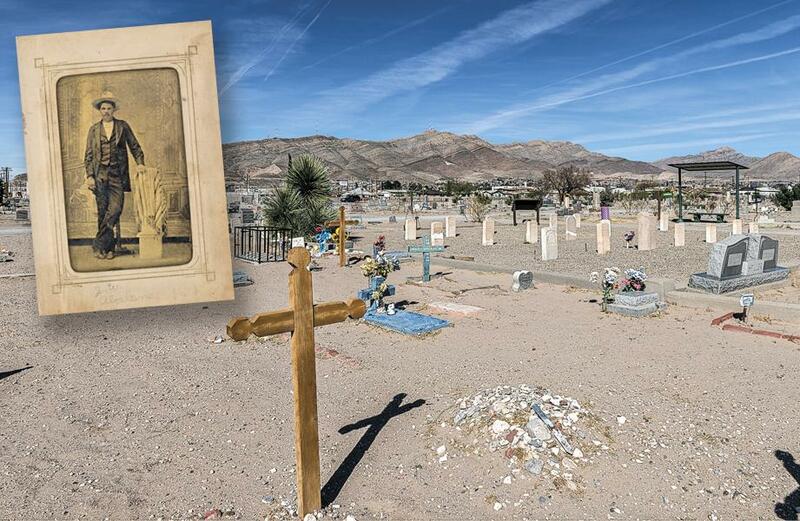 Nowadays Hardin is the most celebrated resident of El Paso’s Concordia Cemetery, a must-see destination for historically minded visitors. As long as you’re there, swing by the grave of Selman, who finished second in another gunfight in 1896. The Concordia Cemetery also holds a Buffalo Soldier Memorial and has a large section dedicated to El Paso’s Chinese community, once the largest in Texas. The first Europeans known to have seen the region were Spaniards in the Rodriguez-Sanchez expedition of 1581. 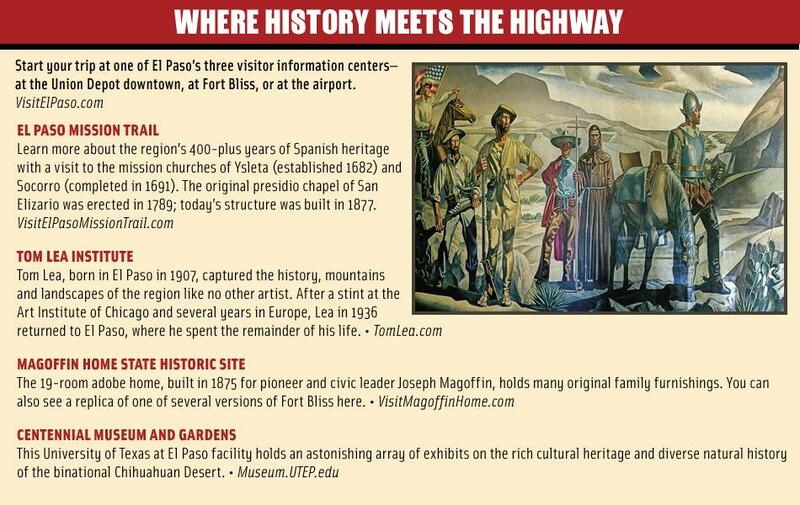 Explorer Juan de Onate arrived in 1598 and, in 1659, Fray Garcia established El Paso del Norte. Over time many other villages sprang up on both sides of the river that became known as the Rio Grande. New U.S.-Mexico borders and Texas-New Mexico state lines were established shortly after the Mexican War. The Butterfield Overland Mail passed through the local settlement known as Franklin in 1858. In 1859, it was renamed El Paso (which caused much confusion until El Paso del Norte changed its name to Ciudad Juarez in 1888). 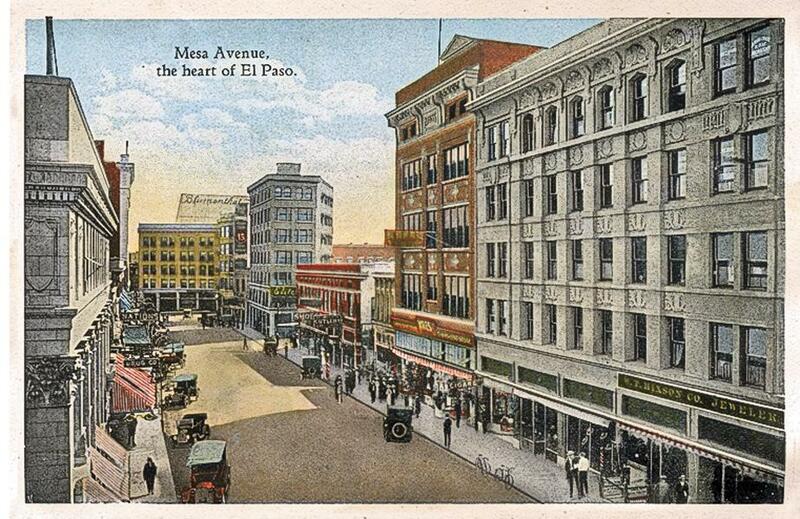 El Paso became a transcontinental crossroads and a bustling trade center after the railroads arrived in 1881. As usual, the sudden prosperity attracted the unholy trio of saloons, casinos and whorehouses and, long before Hardin’s murder, El Paso had earned a sordid reputation. 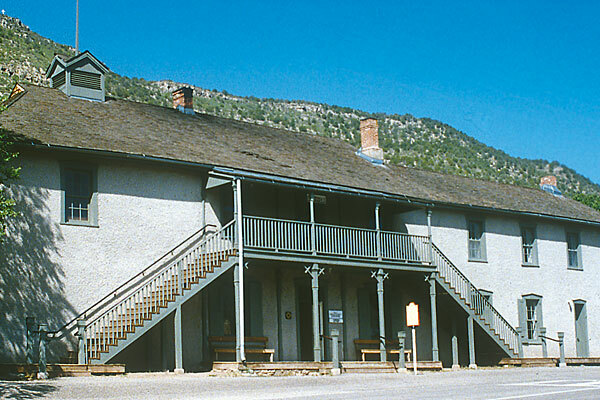 According to Sargent, the community was routinely referred to as “Hell Paso.” A Santa Fe newspaper reported the town had one saloon for every two and a half residents; and local lore has it that Wyatt Earp once refused the job of city marshal because he thought it was too dangerous. Maybe so—lawman Dallas Stoudenmire, who served as the town’s marshal during one especially raucous thirteen-month period, kept his job only after threatening to shoot the entire city council. As marshal, he killed 10 men while on the job, only to lose his badge because of drunkenness, and be killed himself by his enemies, the notorious Manning brothers. One of the best ways to get an overview of El Paso’s history is via the Downtown Walking Tour, a self-guided journey that begins at the southwest corner of San Jacinto Plaza. Be sure to check out the wealth of historic photos posted on the new DIGIE (Digital Information Gateway In El Paso) wall exhibit at the El Paso Museum of History. The giant array of 3-D touch-sensitive TV screens opened in February. Need boots? El Paso is home to more than two-dozen boot makers, including such renowned companies as Lucchese, J.B. Hill, Black Jack, Caboots and Rocketbuster. And, if you’re a fan of Marty Robbins, and you’re out in the West Texas town of El Paso, you gotta stop by Rosa’s Cantina. 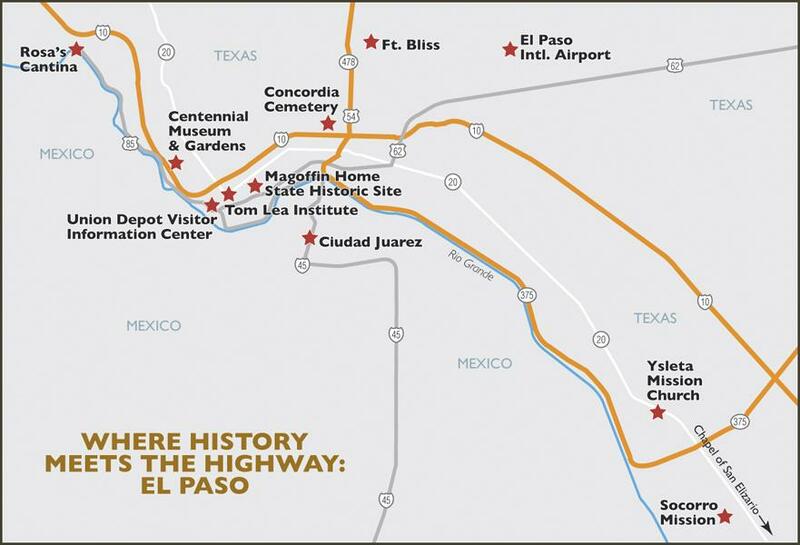 Start your trip at one of El Paso’s three visitor information centers—at the Union Depot downtown, at Fort Bliss, or at the airport. Learn more about the region’s 400-plus years of Spanish heritage with a visit to the mission churches of Ysleta (established 1682) and Socorro (completed in 1691). The original presidio chapel of San Elizario was erected in 1789; today’s structure was built in 1877. Tom Lea, born in El Paso in 1907, captured the history, mountains and landscapes of the region like no other artist. After a stint at the Art Institute of Chicago and several years in Europe, Lea in 1936 returned to El Paso, where he spent the remainder of his life. This University of Texas at El Paso facility holds an astonishing array of exhibits on the rich cultural heritage and diverse natural history of the binational Chihuahuan Desert. 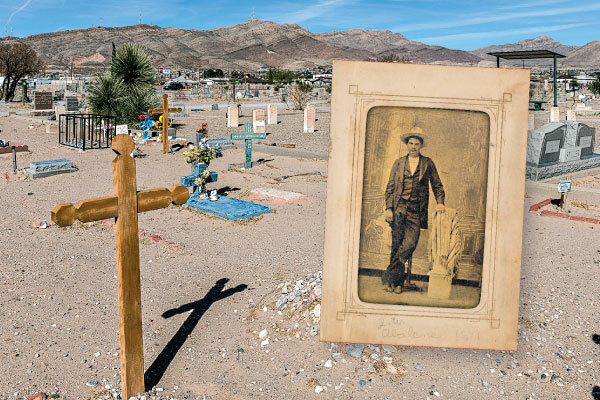 El Paso’s Concordia Cemetery is the final resting place for 60,000 souls including notorius gunman John Wesley Hardin, whose grave is well-protected and frequently visited. 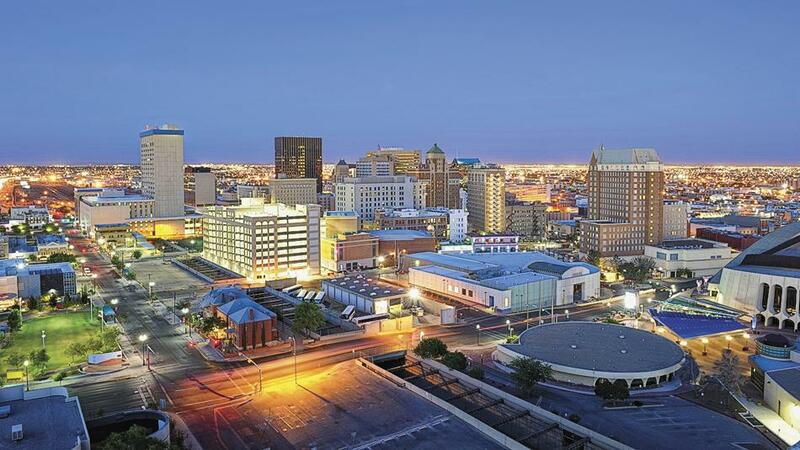 Although El Paso had fewer than 500 residents at the beginning of the Civil War, the Texas town once known as Franklin, today is a modern, sophisticated Western city of nearly 700,000, with the University of Texas-El Paso anchoring its downtown. 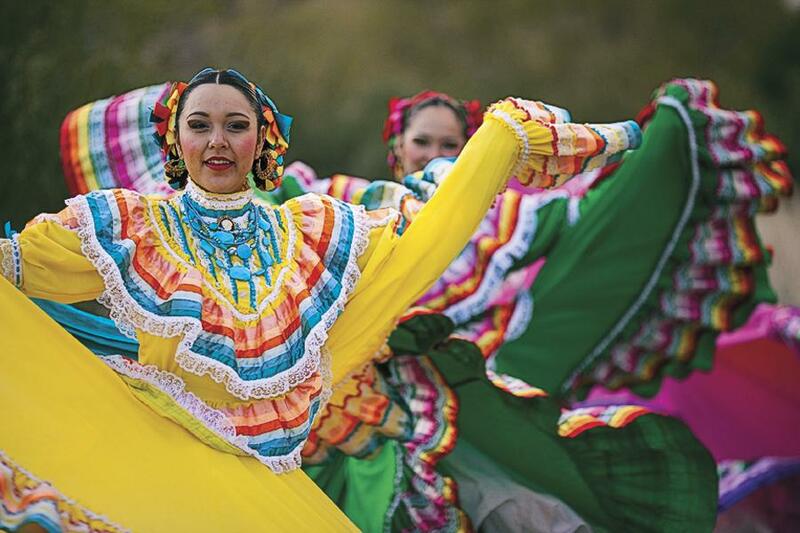 The colorful Folklorico dancers are part of the annual VIVA! EL PASO pageant that began in 1978 and celebrates the city’s rich cultural heritage. After the Southern Pacific Railway reached El Paso, Texas, in May 1881, the railroad completed its transcontinental route, the second in the nation. 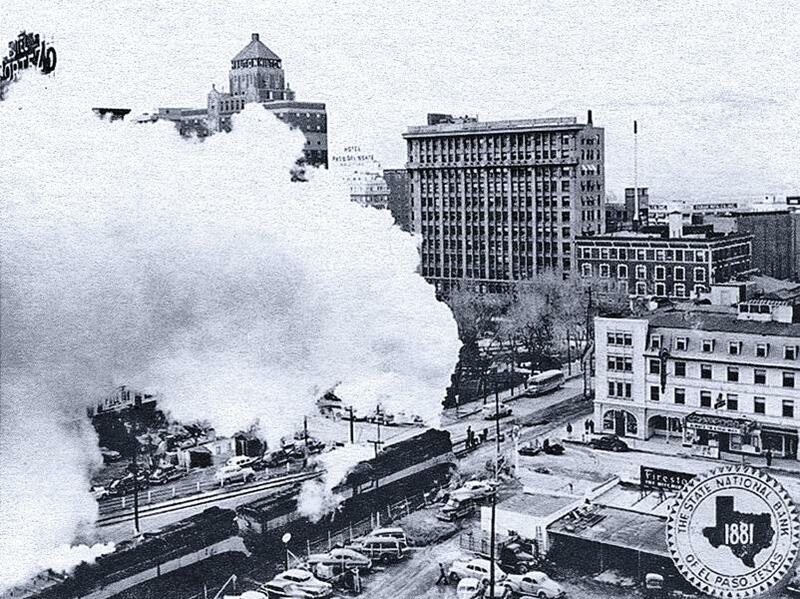 Since 1894, the Sunset Limited has delivered passengers to El Paso en route between Los Angeles and New Orleans. O Pass of the North Now the Old Giants Are Gone We Little Men Live Where Heros Once Walked Inviolate Earth by Tom Lea. Following Billy the Kid From Tascosa, Texas, to Fort Sumner, New Mexico. 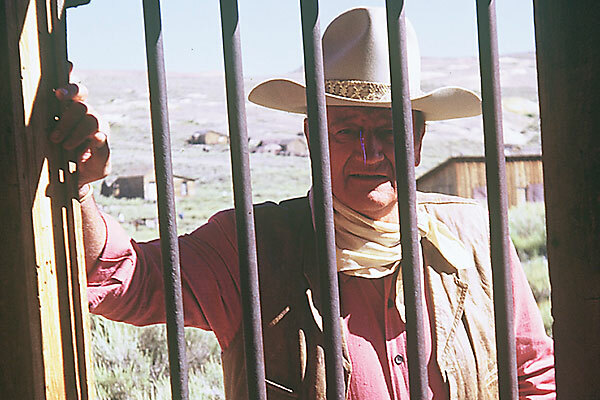 The Bad Man from Bodie One journalist's creation forever taints a gold mining boomtown.